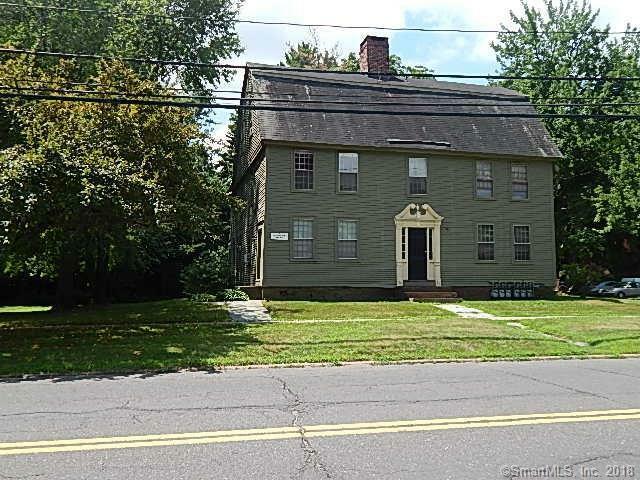 Rare find in Old Wethersfield, the Gersham Nott house built in 1760 is five apartments of which no two are identical. The first floor has an efficiency, 1 bedroom, a 4 room, 1 bedroom and a townhouse style, 2 bedroom, 1 1/2 bath unit. There are two townhouse style units on the second and third floors. A 6 room, 2 full bath unit and a 5 room, 1 1/2 bath unit. Annual income is $56,400 but could be $60,600. An excellent opportunity to acquire a multi-unit property in Wethersfield. Directions: Main Street To Marsh.